With mild temperatures just around the corner in Toronto, calling your HVAC contractor to give your system a check-up might be one of the last things on your mind. You’re probably already using your heating a lot less than you were a month or two ago, and you’re still a long ways away from needing the air conditioning, so why worry about it now? We’ll give you seven good reasons why you should have your system checked out or serviced this month. 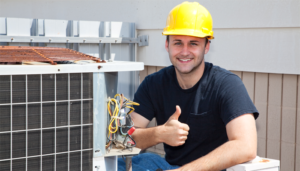 Convenience: HVAC Contractors are usually not very busy this time of year. That means when you call, they will be able to come right away and they will be available at a time of day that’s convenient for you! If you wait until the weather gets warmer, technicians will be in greater demand and you might have to wait longer for them to come. Mild Weather: It might be necessary to shut down your HVAC system for an hour or more in order to service/clean it. You will be much more comfortable if you do this on a mild day rather than a hot or cold one. Your HVAC Contractor will also appreciate the chance to work outside on a nice day! Speedy Repairs: If your HVAC Contractor discovers a problem with your system, they will be able to fix it easier now when parts are fully stocked and technicians aren’t busy. Discovering a problem later might mean a delay in getting it fixed. Energy Savings: Getting your system cleaned and serviced now, before you need the Air Conditioning will help it to work more efficiently starting from that first hot day. Reliability: Getting your system checked out now while the weather is mild will give you peace of mind when the hot weather comes. If your system needs major repairs or replacement, you’ll have more time to consider your options. Save Money: We hope you won’t need to buy a new heating or cooling system this year, but if you do, it is best to buy before July. 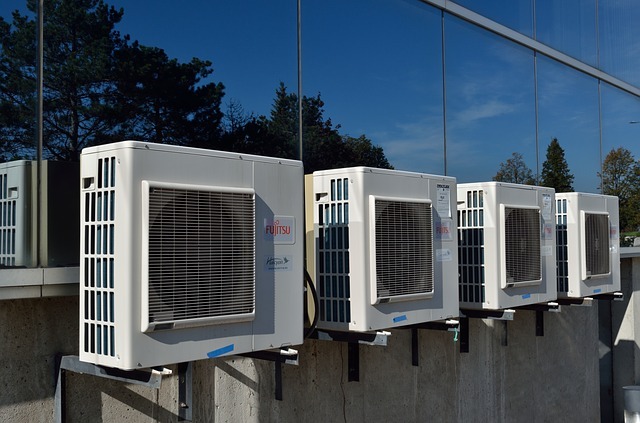 HVAC manufacturers often have deals on replacement systems in May and June, and your HVAC Contractor can help you find the best deal. Maximum Comfort: Getting your system cleaned and serviced now will mean it will be ready for optimum performance when the warm weather arrives. Catch little problems before they get big: Minor adjustments or easy repairs can turn into big problems if left for too long, leading to more costly repairs later. Efficiency: A clean, well-adjusted system works better, saving you money on electricity and cooling/heating your home more effectively. Changing Seasons: Some HVAC systems can be adjusted differently for optimum performance in summer or winter. So, it’s a good idea to have your HVAC contractor come by in the spring and the fall. Plan Ahead: Having your system checked regularly will allow your HVAC contractor to predict when a major repair or replacement will be necessary. That will give you time to plan your budget accordingly, rather than having to do an emergency repair or replacement when your system breaks down. When the warm weather arrives, many Toronto residents will discover their cooling systems are not working as well as they could be. Technicians are likely to be busier, and repairs might take longer and/or be more expensive. Don’t get caught in the heat waiting for service, call your HVAC Contractor today to optimize your system!